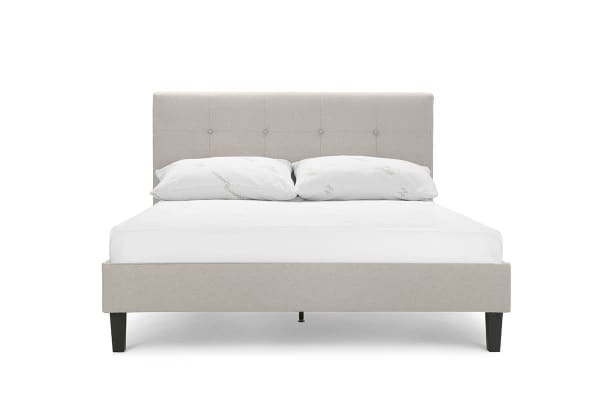 With an elegant Ovela bed frame in your bedroom, you’re guaranteed to get a good night’s sleep every night. Ovela bed frames look and feel great in any bedroom, adding a timeless touch of class and sophistication. The strong, sturdy construction promises long lasting style, and the tall, padded headboard provides a comfortable place to rest against. Stunningly designed and easy to assemble, this is a bed frame that you’ll simply fall in love with and enjoy for years to come.